The news that Apple Chief Executive Steve Jobs is taking a leave of absence shook up investors and customers in large part because for many Apple loyalists, Steve Jobs is Apple Inc.
Jobs isn’t the only CEO to be so closely associated with a brand that investors and customers fear the company will be nothing without them. Here’s a look at companies that have successfully prepared for the loss of a CEO, and those that haven’t. 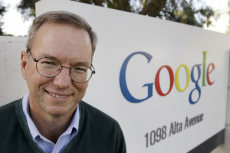 “Day-to-day adult supervision no longer needed!” Eric Schmidt tweeted. It was his way of announcing that he was stepping down as chief executive of the search engine giant, and also showing that he was in on the joke about his role at the company. Schmidt, a longtime technology executive, was brought on board a decade earlier to help the company’s founders, Larry Page and Sergey Brin, grow their fledgling but very promising young company. Schmidt now clearly thinks the company doesn’t need that guidance anymore. In April, Page will take over as chief executive and Brin will focus on new products. “Larry, in my opinion, is ready to lead,” he said in a statement the company released Thursday. The Oracle of Omaha, Warren Buffett, said in a 2007 letter to shareholders that he has long had three internal candidates to succeed him as chief executive of Berkshire Hathaway, and had identified four potential candidates for the investment side of his job. Last year, the company announced that it had hired Todd Anthony Combs, a young former hedge fund manager who may turn out to be the heir apparent on the investment side of the business. 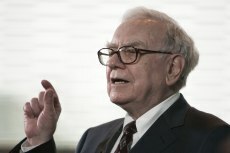 Buffett said in February of 2011 that four candidates are in the running to be CEO. Bill Gates co-founded Microsoft Corp. in 1975 with his childhood friend Paul Allen. But it was the man who lived down the hall from Gates at Harvard, Steve Ballmer, who would be groomed to lead the company. Ballmer joined Microsoft in 1980 and took over as Chief Executive in 2000, amid a long-running antitrust investigation that at one point threatened to break up the company. Gates, who became Chief Software Architect in the change, gave investors plenty of warning of his next move. He announced in 2006 that he would be giving up his position in 2008 to focus most of his energy on his philanthropic work. 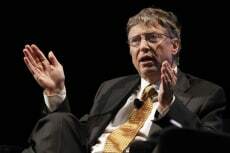 Gates remains chairman of Microsoft’s board. Ballmer’s succession strategy is much less clear. Three senior executives, Bob Muglia, Robbie Bach and Ray Ozzie, have said they would leave the company in the past year. 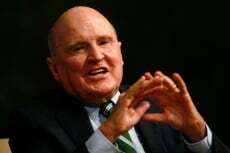 Jack Welch is perhaps best known for his management skills, so it should come as no surprise that Welch was grooming several potential successors before leaving his post as head of GE in 2001. Jeff Immelt was eventually handed the top job. Two other oft-mentioned contenders were Robert Nardelli, who had less glorious stints at Home Depot and Chrysler, and James McNerney, current chief executive of Boeing. Although Starbucks wasn’t founded by Schultz, it was Schultz who made the company — and arguably the latte — into what it is today. 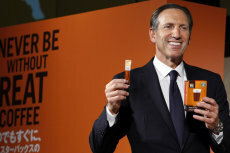 Schultz stepped down from as CEO in 2000 to become chief global strategist, only to return in 2008 after conceding that the company had lost its footing. Under his resumed leadership, Starbucks made major changes meant to bring back the original feel of the company. But he also was forced to lay off employees and close stores in response to the recession. 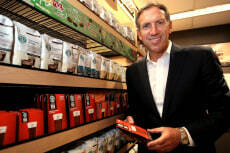 Starbucks has recently moved to expand its brand with products such as Via instant coffee. Schultz recently told The Harvard Business Review that he didn’t think he handled succession planning well last time and is aware of his duty to do it right next time. Still, he said he has no plans to leave soon. 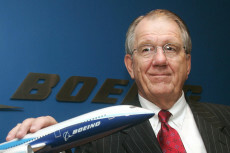 When Harry Stonecipher was forced to abruptly resign in 2005 following an affair with a staffer, Boeing was left without a CEO for several months. The company eventually chose board member and 3M CEO Jim McNerney, who had earlier said he wasn’t interested in the job. Alan Mulally, head of commercial airplanes and considered a top contender for the position, later bolted to Ford, where as CEO he has orchestrated an historic turnaround. 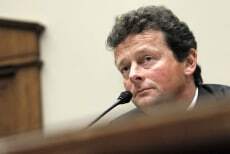 Stonecipher’s abrupt exit followed the resignation in 2003 of previous CEO, Phil Condit, over an ethics scandal. As CEO of BP, it seemed Tony Hayward could do no wrong … until the Gulf oil spill. After a series of embarrassing blunders, Hayward was shown the door. He was replaced by Robert Dudley, a longtime Amoco executive who stood out for handling the oil spill with more tact than the gaffe-prone Hayward. Hayward had been given the top job in 2007 following safety issues that plagued the company under the leadership of the previous BP CEO, Lord John Browne. Michael Dell founded the company that bears his name in 1984, and handed the top job over to Kevin B. Rollins two decades later. In 2007, Dell replaced Rollins to resume the top job once again. 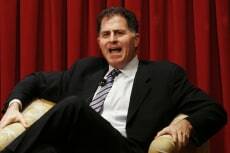 Dell told investors at a conference last year that the company’s board should know what the succession plan is. But at age 45, he said he has every intention of running the company for years to come. That’s a far more serious answer than he gave in 2008, when he told journalists that his succession plan involved avoiding getting hit by a truck. 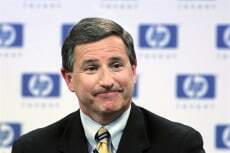 When Hewlett-Packard abruptly dropped Chief Executive Mark Hurd in August 2010 after a sexual-harassment probe revealed that he had violated company standards, it left the tech giant without a leader. Chief Financial Officer Cathie Lesjak was appointed temporary CEO. In November, former SAP CEO Leo Apotheker took over as president and chief executive. Hurd was seen as key to turning HP around after taking over for Carly Fiorina in 2005. He also survived a 2006 scandal in which the company’s then-board chair was accused of using extreme tactics to track down media leaks. After being ousted from HP, Mark Hurd landed as co-president at Oracle. 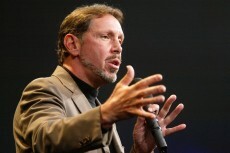 That company is also closely associated with its CEO, Larry Ellison. The move prompted some to wonder if Hurd is being considered as a potential successor to Ellison, who has run the company since founding it in 1977.